Everything is beautiful - I'm so grateful for Samira putting in the time and effort to make everything just as I requested it. For me, the showstopper item is definitely the custom whip decoden photo frame that I received. Look at how beautiful this frame is! It's also a lot bigger than I expected which is a nice surprise. I love the glitter bow and heart cabcochons especially but they're all precious -the pink and yellow theme definitely works well. 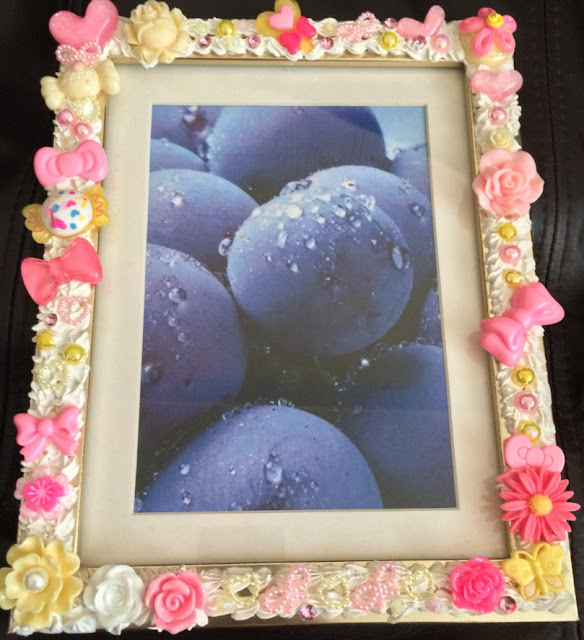 Everything is placed so beautifully and is firmly attached to the frame. Samira has used hard silicone on this frame, but on some she uses soft silicone. I'm honestly so impressed with this item, it's so glittery and cute in person - and loaded full of cabochons! I received some cute pink bow hair grips which I've worn in my hair and are definitely very durable. I love the little rhinestones on them! 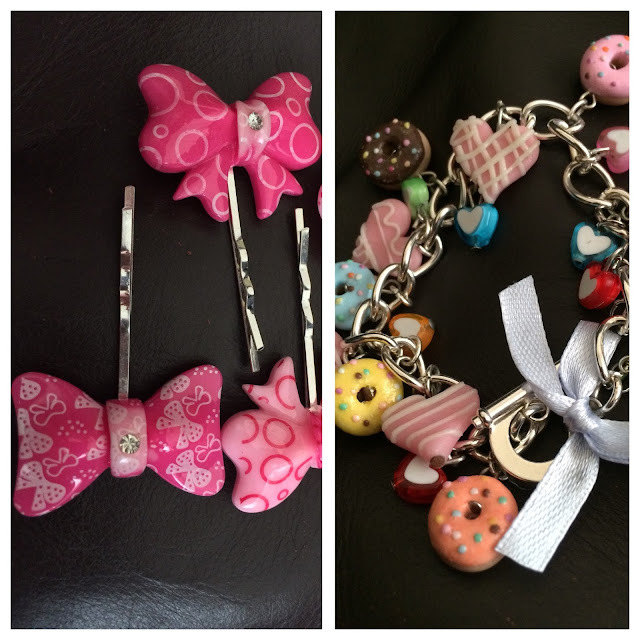 I also received a charm bracelet filled with doughnuts, pastry hearts and a blue bow. This is definitely me all over. Samira definitely listens to what you want and delivers which is fab. This bracelet will look so cute this summer paired with a cute summer dress and some pastel nails! I received this compact mirror which is currently in my makeup bag. It's embellished with lots of translucent coloured beads which remind me of little hard candies. 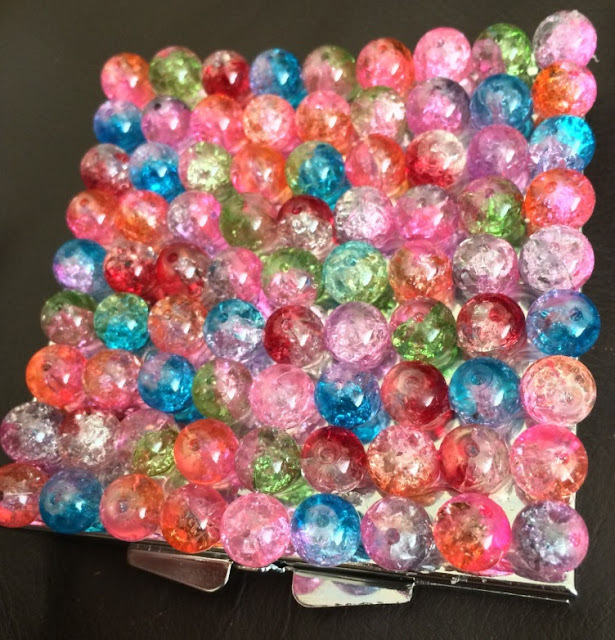 The beads are firmly secured and there's no messy glue marks at all! The mirror is substantial and fairly heavy with a magnifying mirror at the top and a standard one on the bottom. I also received 3 adjustable rings. The first is a yellow lace effect ring with a purple rose cabochon attached to it. This looks so cute, the colours work well together and it just looks super pretty. The second one is a little strawberry cupcake in a bubble. 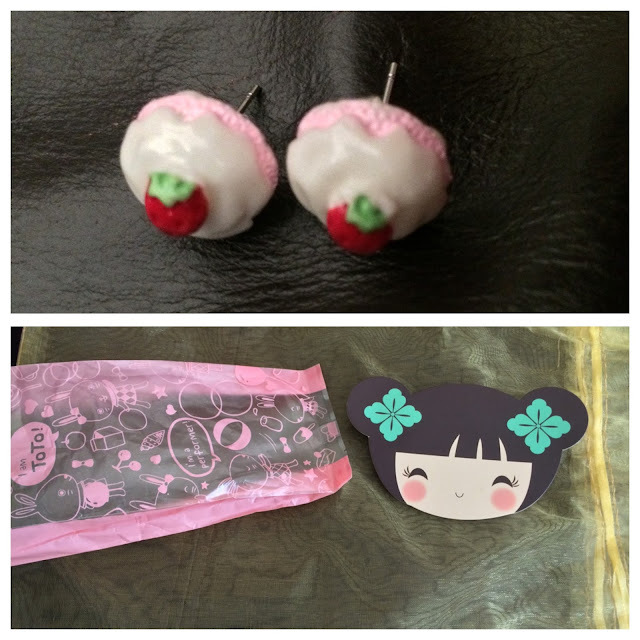 She sent me some earrings to match this one as well which are pictured below - I can't wait to wear them all together! 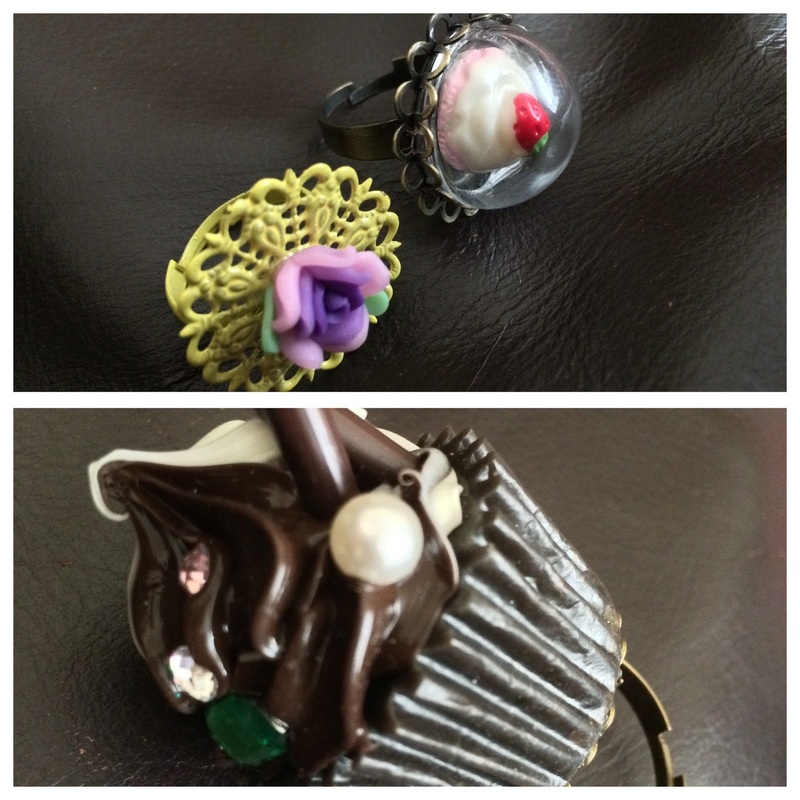 The third ring is a large chocolate cupcake ring with silicone whip and rhinestones on the top. So utterly precious. My order was packaged up beautifully in a large organza bag, with the items protected in bubble wrap. The rings were in this cute pink bag with little kawaii bunnies on it. Samira also sent me a little thank you card which I will be putting in my planner as it's so precious. I wholeheartedly recommend Blueberry Treasures to anyone who is into handmade decoden items or anything kawaii/cake related! Everything is so reasonably priced too considering it is all handmade. As I said before, every item is unique and made with love to your specification.